Who LOVES Edible Arrangements??? We do We do! Right now you can score 12 pieces of dipped fruit for only $10.00. It is regularly $25.00. What a nice treat! Click here to get your 12 pieces of Dipped Fruit! PROMOTION DETAILS: This offer is valid January 15th-22nd only. Fruit selection varies and may include any of the following: bananas, oranges, apples, strawberries and pineapple. Stores cannot guarantee that specific fruit requests can be honored. Orders may be placed online, in stores, or by calling 877-DoFruit. Orders placed during the promotion period must be picked up in stores no later than Wednesday, January 25th, 2012. $10 dipped fruit boxes must be picked up at a local store and are not eligible for delivery or shipping. To view our store locations, pleaseclick here. Cannot be combined with any other offer, promotion, coupon or coupon code. This promotion is not valid on previous purchases. 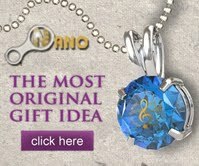 Offer expires and all orders must be placed by 1/22/2012 at 11:59 P.M. EST. Taxes will applied to your total order. Offer valid at participating locations only. While supplies last.